Montessori of Alameda Teacher (MOA) is an American Montessori Society (AMS) – affiliated and Montessori Accreditation Council for Teacher Education (MACTE) accredited teacher training center. MOA is also a private school for children ages 3 months to 6 years. 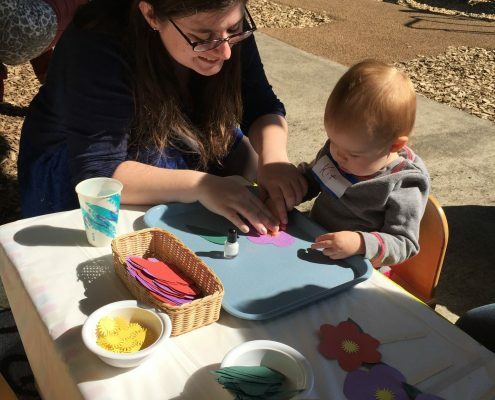 Montessori of Alameda Teacher Education Program (MOATEP) offers certification in two different levels of teacher training, Infant Toddler and Early Childhood. We are currently accepting candidates into our teacher training programs. Our training center offers AMS affiliated and MACTE accredited programs. Our center has a status of full accreditation with stipulations until 11/23/23. Our training programs are taught by fully certified Trainers with years of experience (see bios below) and include a 10-month academic program at Montessori of Alameda school which is located in Portland, OR. We strive to make our programs accessible for everyone’s busy lives. Classes are held on the weekends and the practicum portion can be completed either at MOA or at another Montessori school. Our programs are competitively priced with several payment options. 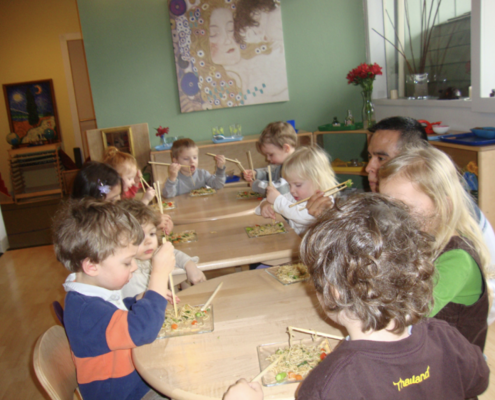 For more information, Please contact meghan@montessoriofalameda.com. Follow these links for program brochures, handbooks, schedules and program application. Meghan has extensive experience in the field of education. She completed a BS in Human Studies from Marylhurst University. She holds three AMI Diplomas and advanced certificates in the field of Montessori education, ages 0-3, 3-6, and 6-12, and has nearly completed a Master’s degree in Education from Loyola College in Baltimore, Maryland. She is also currently pursuing a Masters of Teaching degree from Concordia University in Portland. Meghan owned, operated and taught at Gresham Montessori Center in Gresham for ten years, which included infant, toddler and primary classrooms. Locally Meghan has taught at the Franciscan Montessori Earth School, Childpeace, The Ivy School, and Little Genius Montessori. Padmini joined MOA in the fall of 2007. Padmini has 18 years of experience as a teacher with children from ages 3 to 6. . Padmini holds a B.A. degree in religious studies, teaching diplomas in Nursery Education from India and an American Montessori Society (AMS) certified diploma in Early Childhood Education.